stepper motors which function as the wheels. 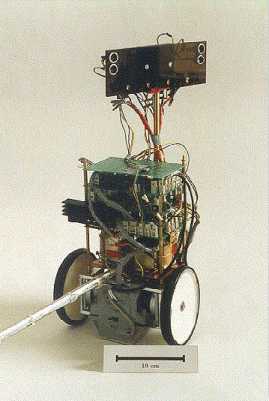 The robot has a 8052 microcontroller with 64 Kbyte RAM and ROM. acceleration, deceleration etc. of the robot. presence or absence of obstacles in ranges less than 30 cm.